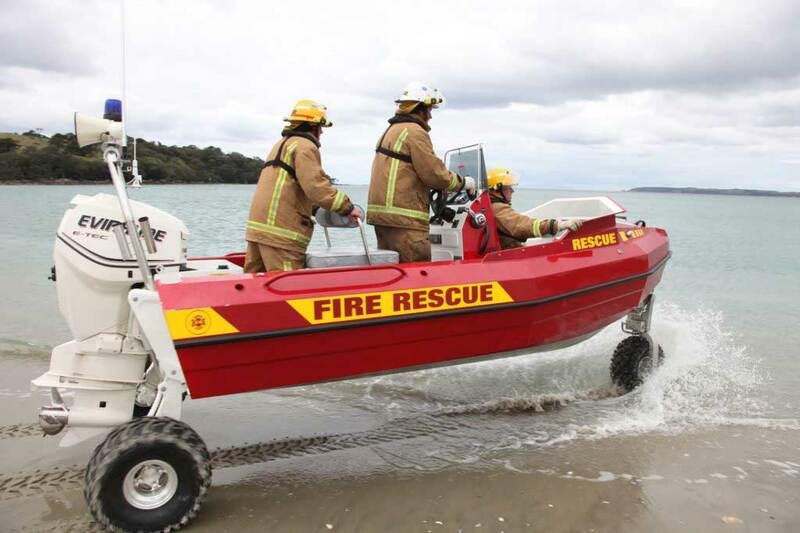 Sealegs marine craft give firefighting and rescue organizations capabilities which cannot be performed by other vessels. These units have been proven to be critical by many professional rescue and response organizations, including the Coast Guard. These units can travel over land and water, allowing for response in the most challenging environments. These units can access critical areas where other vessels might be impeded by shallow water, variable depths, or other obstructions, making communities that were otherwise not accessible safer. 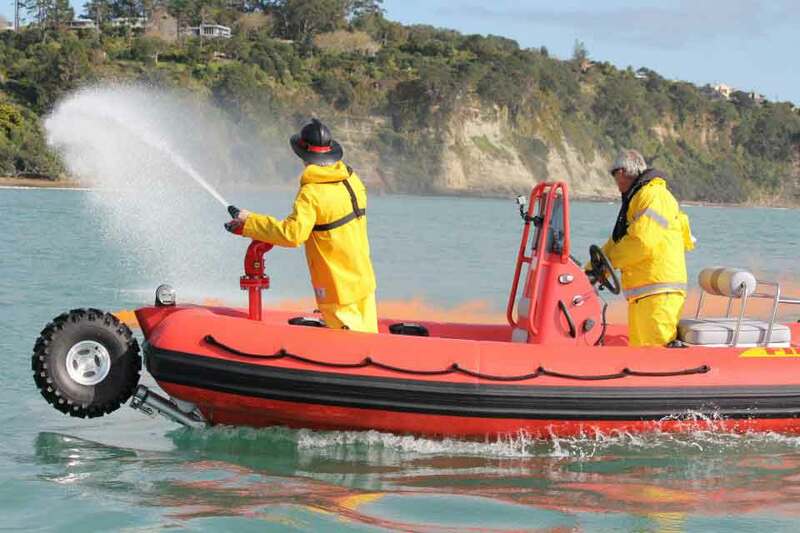 Fire & Safety Services is the authorized dealer and service center for Sealegs in the state of New Jersey. 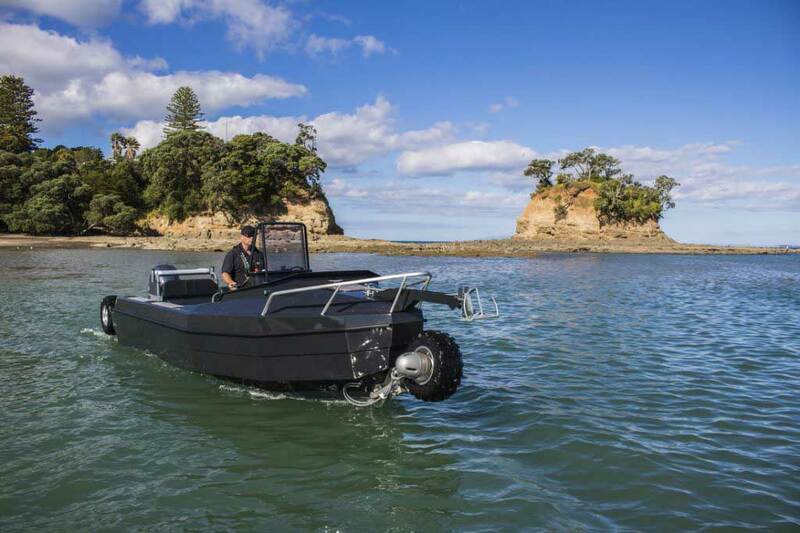 Interested in learning more about Sealegs Amphibious Marine Craft? Contact us to discuss! This model is the most compact RIB in the Sealegs product line. It’s perfect for smaller spaces and works well with tight budgets. This unit can be used as a flood rescue and fire response apparatus. It has a single-handed operational system, reducing the need for multiple personnel in one unit. It also allows for immediate access to and from water and allows for a safer and more comfortable entrance and exit for personnel and passengers. These units can be highly customized to meet your needs. 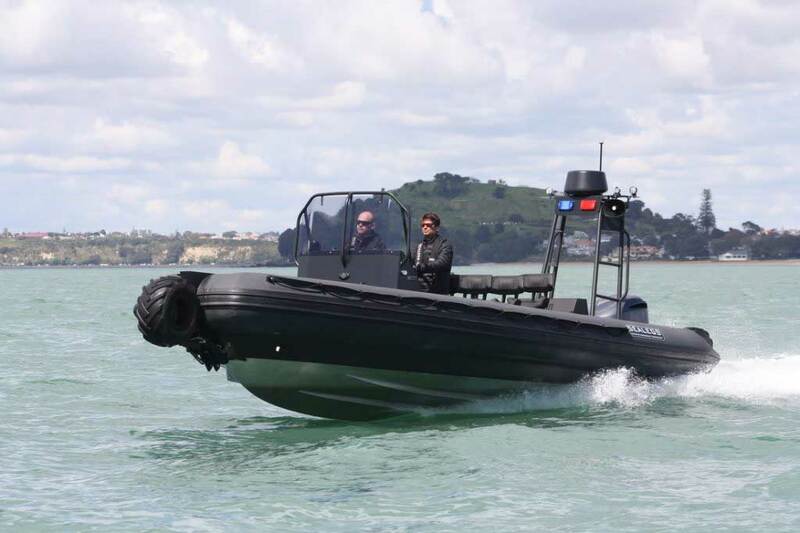 This model is similar in size to the 6.1M RIB, but it is a fully aluminum pontooned craft (ideal for situations where Hypalon is not preferred). Similarly, this unit is ideal for smaller storage spaces and for those with tighter budgets. It can be used in situations such as flood rescue, fire response, and patrolling. It also has single handed operation, immediate access to water allowing for reduced response times, and can be highly customizable. 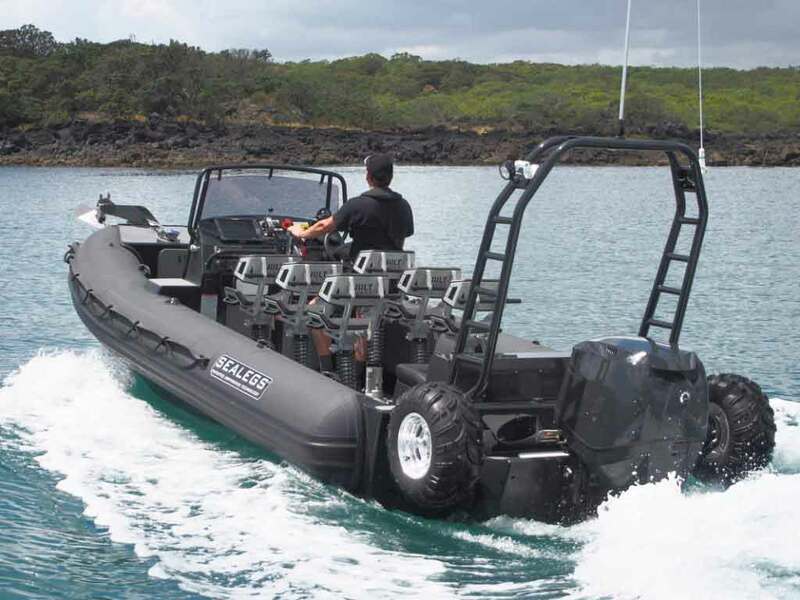 The 7.1M RIB is the most popular Sealegs unit, offering a higher payload and more customization than other units. Although it’s a bigger unit, it retains the maneuverability and low weight of the smaller crafts. This unit is prized for its stretcher and fire-pump options, and its payload on-and-off water. This apparatus can be used in a variety of situations, such as patrolling, fire rescue, conservation, and flood rescue. The Sealegs 7.7M Sport D-Tube combines the rugged design of the 6.1M D-Tube with the size and space provided in the 7.7M unit. The supersized all-aluminum hulled craft is beneficial for a variety of purposes and situations, from fire rescue to tourism tours. This model is equipped with a sport center console, which allows for walk-around access to the entire craft. The onboard powerpack on the transom allows for additional storage beneath the helm seat. The tall pontoons give personnel and passengers a smooth and secure ride. This unit has a console that stretches across the deck and wraps around the tubes, giving passengers maximum protection from the elements, but still allowing for easy access to all parts of the craft. The engine is mounted inboard to allow for the most use of deck space. This unit can be used for a variety of purposes, such as for tourism events or patrolling. The possibilities are endless with this craft! 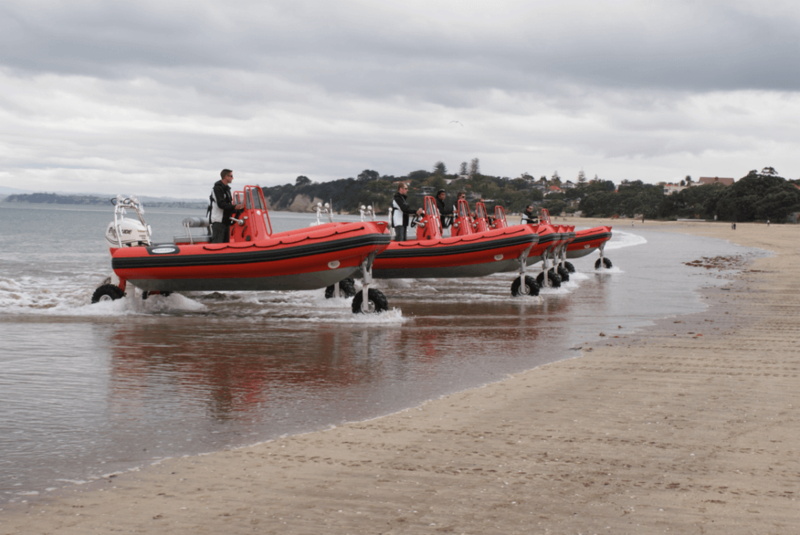 The 9.0 Hydrasol RIB is the largest amphibious RIB ever built. The large build of this craft allows for a highly customizable unit and is ideal for diving, wildlife viewing, or other scenarios where you need ample space. Additional seating may be added behind the console pedestal seats, or you may use that space as you wish.